Friedly staff ... It is impressed for me, every staffs is so friedly. The breakfast is nice. But the equipments in the kitchen seems should be upgraded, and you have to put your room key in the reception when you want to use the pan etc. 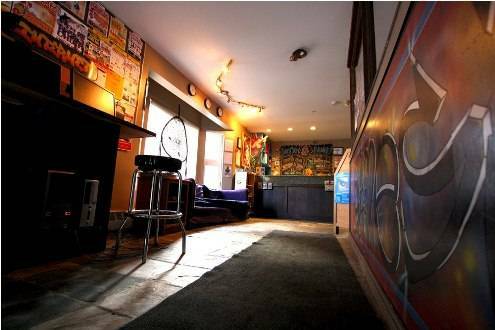 Just a 5 minute walk from downtown Banff, we are the only hostel this close to town and we have our very own pumping Beaver bar! 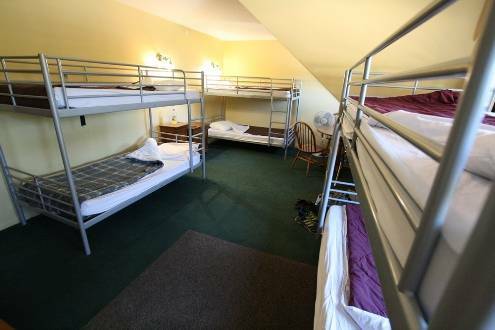 Amenities in the hostel itself include a self service kitchen with FREE breakfast, FREE wireless internet, a large common area with TV, laundry and lots of weekly activities inculding open mic nights, organised treks, trivia nights, canoe trips and live bands! Receptions is open 24 hours, so please feel free to come and speak to us at any time! 24-hr front desk Age restrictions Bar/lounge Breakfast included Children not permitted Guest Kitchen Icemaker Linen included Newspapers/magazines No curfew Open 24 Hours Parking (free) Restaurant on site Smoking not permitted Sports/activities WIFI (free) common room fully licensed bar and restaurant. We are located right on Banff Avenue, only a 5 minute walk to the heart of Banff town centre. Calgary Airport: The Banff Airporter will drop you off directly on our doorstep. Or take the Calgary Airport Shuttle to the greyhound station and catch a greyhound bus to Banff from there. Bus/Train station: Walk down Elk St. to Banff Ave and turn left. We are about a 10 minute walk altogether. A taxi will only cost $5-$10. Driving from the east or west: We are on the main stretch of Banff so you will drive right past us on Banff Ave. We are just past Marten St.